Child-friendly? Recommended for kids 3 and up. Do you really want to freak out your kids? Tell them the actor who plays Willy Wonka and Captain Jack Sparrow is the same person. Of course, they won't believe you at first, but before you know it they'll be spending hours comparing the DVD covers side by side and losing sleep just to decide whether or not it's true. It'll be like watching Charlie Sheen unravel on television – laughable, cringe-worthy and yet oh-so-entertaining. Once their head stops spinning you may want to take them to see Rango, the latest animated flick that features a star-studded cast, with super weirdo Johnny Depp as the title character. The film, which was thankfully shot in 2D, will give you a break from the usual three-dimensional movies while offering the little ones enough fart jokes to last a lifetime. 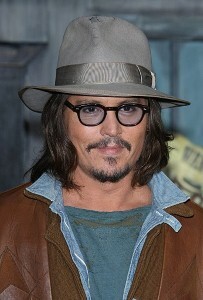 Depp lends his recognizable voice to Rango, a pet chameleon who gets lost and winds up in an old Western town named Dirt. Before you can say "Scissorhands," the lizard is named Sheriff and soon is doing all he can to save its denizens from despair. Depp gets into his usual crazy self for this role, something that, depending on how you feel about the guy, could be fantastic or your worst nightmare. One thing is for certain – tell your kids before the lights dim that this is the same actor they've been obsessing over, and they're bound to lap it up like honey. Child-friendly? Rango is a 2D animated film that tells the tale of a lizard who soon adapts to a Wild West lifestyle and does his best to save a nearly deserted town from destruction. The film contains all the necessary details to keep children entertained while including enough classic movie references to have adults whiling the time away without wanting to gauge their eyes out. Recommended for ages 3 and up.